Directory List & Print is a software tool for Windows and enables listing and printing the content of any directory in a simplest way. In addition, the file lists can be formatted, filtered, saved to several file formats and also be further processed (delete/copy/move files). 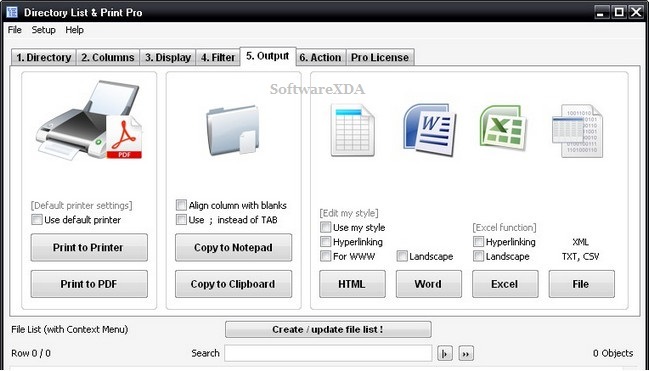 By copying to the clipboard the lists can be exported into other programs or opened directly in Word and Excel.